Looking for a family vehicle with great features on a budget? Choose from our selection of used Kia Sorento SUVs for sale at LaFontaine Kia and find the perfect fit, whether you’re looking to seat 7 in models with 3rd row seating, have a 5 passenger SUV in mind, or would like a Sorento hybrid SUV. Browse our available models and contact us with any questions at LaFontaine Kia, a Carfax Advantage Dealership. High Quality: Vehicles today are being built to last longer than ever before, with expectations lasting well beyond the 100,000-mile mark. A used Kia Sorento is no exception to this. For an almost like-new experience, buy a certified pre-owned vehicle, which you can only find at a Kia dealership like ours, serving the Metro Detroit area. Less Depreciation: Kia used cars, along with all other vehicles, experience depreciation every year. A brand new vehicle, however, can lose more than 30 percent of its value in the first two years of ownership. Which means buying Kia used cars can save you more in depreciation in the long run. More Features For Less Cash: New vehicles have all the tech, but buying a used Kia will still come with great features like UVO infotainment and Apple CarPlay™ at a reasonable price. You’ll find that top features and upgrades like higher trim levels become even more affordable when looking at a used Kia near Southfield. A popular choice among Detroit drivers, the Sorento EX AWD has a V6 that can power through Michigan winters with ease, and the Kia Sorento’s 3rd-row seating is available on many models. At LaFontaine Kia, we pride ourselves on helping Taylor drivers find the right used or CPO vehicle that fits both budget and lifestyle. Once you found the Sorento your have been looking for, use our monthly payment calculator to get an idea of what loan options could work for you. We do our best for everyone at LaFontaine Kia, so get pre-approved for financing online, or learn how you can get a used SUV with bad credit, or even if you have no established credit history at all. 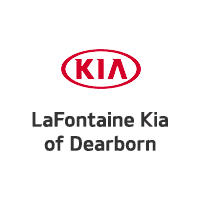 Head on over to LaFontaine Kia in Dearborn for a test drive!